The moment that you reach your 50s, you are going to become a bit confused with how makeup looks on your face. 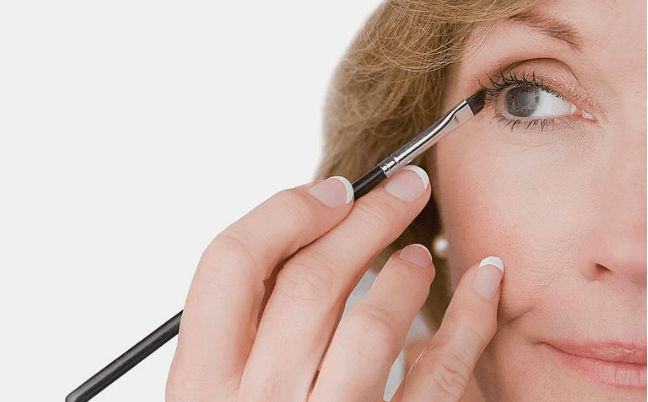 Want to know the right eye makeup tips for older women then you are on right page. You have to admit that your skin has matured. It will not be able to take the type of makeup that you have applied more than 10 years ago. 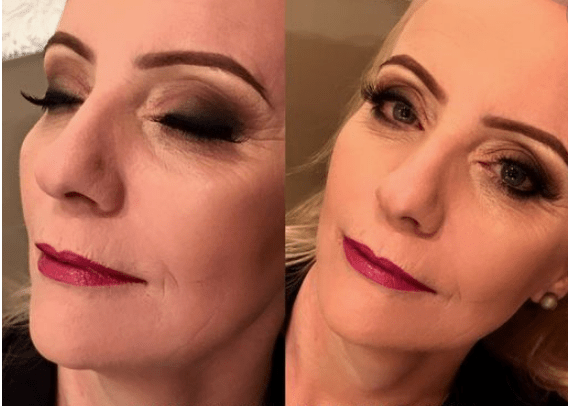 Getting older may have some disadvantages but you should not let aging stop you from wearing the type of makeup that you want. 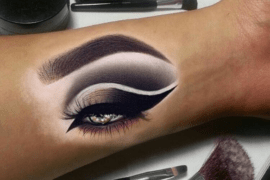 Apart from that find another types of eye makeup on Beauty On Mind if you are interested in. There is one thing that you should remember: when you are putting on makeup and you are already in your 50s, your goal should not be to look younger than your actual age. Rather, your goal should be to enhance what you naturally have. You need to look graceful and fresh and knowing how to put on eye makeup for older women can do the trick. 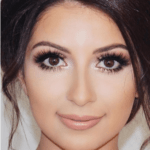 Even if you try doing the type of makeup that younger women are using in order to enhance their appearance, you will realize that you are more prone to having cake-y skin. There are even times when your fine lines and wrinkles are emphasized more because of the type of makeup that you use. You can always put a stop to it provided that you know what you are doing. When you insist on putting on heavy makeup, you will only add years to your appearance. Instead of looking younger, you are going to look older than your actual age and you do not want this. That is applicable for older not for green eyes or other set of eyes. Right? Less is More – Unlike in the past when you would pile on makeup on your face and still look amazing, things are so much different now. You can choose the type of makeup you would like to include in your makeup kit and just use them whenever you need to. Understand Your Best Features – Do you think that your lips are your best feature? If yes, then you can pay attention to your lips and allow the rest of your face to be only dusted with light makeup. Balance is the key to having the right makeup when you have mature skin. 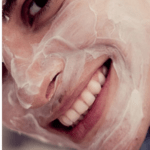 Invest in the Right Makeup Primer – The primer you are going to use on your face will not only make your makeup last longer, it can also plump up your skin so that it will appear softer and less-lined than before. 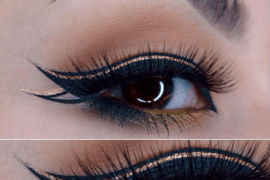 Know How to Use Your Eyeliner – A lot of women in their 20s and 30s normally use eyeliner in order to enhance the appearance of their eyes. You cannot line your eyes very thickly but you need to use the right eyeliner that you are most comfortable using to line your eyes. When you line your lower eyelid, make sure that you will not line everything as this can make you look older than usual. Choose the Right Colors – You have to consider your skin tone and the color of your eyes. When you take these things into consideration, choosing the right eye makeup will be easier to do. 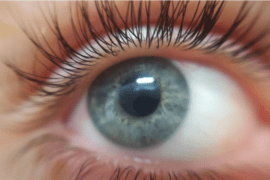 Use lash serums that promise to make your lashes longer in 2 weeks or more. Not all of them are guaranteed to work but with proper research, you can find the ones that will work best for you. You can use false eyelashes. They may be a bit tricky to put on especially if you have never used them before but they can truly open up your eyes and make them appear bigger. Buy the right mascara. The right mascara formula and wand can work wonders for your eyes. There are different concealers that are available in the market. The usual ones are those that are lighter than your normal skin tone but there are some color-correcting concealers available. These are meant to improve the color of your skin so that they will look evener. Pink-based concealers are best used by women with light to medium skin tones. Peach-based concealers are best used by women with medium to dark skin tones. Always choose concealers that are two shades lighter than your natural skin tone. It will open up the portions that you want to highlight and enhance. You were probably a fan of shiny eyeshadow when you were younger and now that they are popular again, you would like to use them again. When you make your eyeshadow too shimmery, it can make you have a drag look. Instead of looking fab, you are going to look drag. This is something that you would like to avoid. If you want to use shimmer, make sure to stick with light colors and always make your base matte. Stick with colors that will emphasize the color of your eyes and your skin tone. Do not make your eyeshadow too heavy. It will only make you look weird. Your eyeshadow is the makeup piece you are going to use to make a statement but if the state will be laughed at because you do not look the way that you thought you would, you need to be more careful with the choices you are going to pick out. First, apply a natural shade on your lid. Peach or beige will do the trick. Place a deeper shade on the crease of your eyes. Do not place eyeshadow underneath your eyebrows but you can highlight your eyebrows if you want. 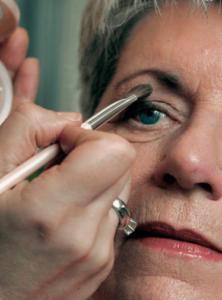 Do you think that you are ready to start putting on makeup for your mature skin? Aging does not mean that you have to forget about doing the things that you love. If you have always loved putting on makeup, then no one is stopping you from doing it. Have fun with the makeup looks you want to try.